The HORIZON boasts sleek sports features whilst still having head-turning appeal. 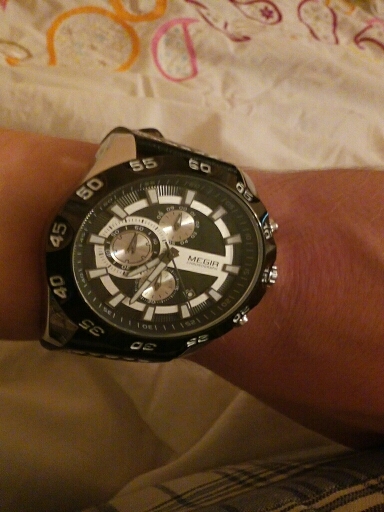 This watch is relatively large, meaning it's great for guys with larger wrist sizes. The quartz movement accuracy and water resistance makes this a great all-weather watch that does it's wearer proud with style. Certainly a talking point on your next casual outing or hike!